I just returned from a road trip and I'm feeling rejuvenated and energized. The fact that it is the last week of the year and more than half of the people at work are on leave and I have to manage the same amount of work with half the number of people is another issue altogether. Normally, I would have been agitated and stressed at this point of time, but this time I'm taking it very well. Travel has been that sponge to me that takes away every negative feeling within me. Initially, I used to go for a haircut to clear the clutter of my head. Now that I'm trying to grow my mane back, travel is the best option to become clutter free. I discovered traveling only after I met Cal. Before that travel barely meant anything to me. When you are born to middle class parents, traveling would mean going back and forth school or college. During childhood, a holiday meant traveling to my maternal grandparents place five hours away from Bangalore. We would wait for this to happen and as soon as exams are done, we would pack a bag and set out in a local bus. It wasn't the most comfortable of journeys, but it made me more than happy back then. Year after year we visited the same place to see the same set of people and enjoyed it. Then, I grew up! Apart from a mandatory end of school vacation and an occasional trip with friends in college, there was nothing called travel in my life. I did not think that I was missing anything, because I did not know what it was at that point of time. Once Cal and I got together, we took our first vacation and then I fell in love. More in love with the person and then some more in love with travel. Cal and I turned out to be travelers and not tourists. We explore a place on our own and in the most local way possible. He had been looking for the perfect travel companion and I was waiting to discover the concept of traveling itself. It fell in place beautifully. There has been no looking back since then. Since we got together in early 2012, we have traveled to so many places and have created such wonderful memories. We plan our travels meticulously and are non-fussy travelers. We are economic travelers too. If the destination is under 8-10 hours by road, we prefer taking an overnight bus. We enjoy the journey as much as we enjoy the new place. Since Cal and I talk like there is no tomorrow, we have long conversations during our travel. This is one of the best parts of our travel. We have been together for so long and yet discover new things about one another during our travels. When the travel time by road is more than 10 hours, we prefer to take a flight. Both of us hate flying, but since we love going to new places, we put up with it. Once we get to our destination, we put our travel caps on and set out to explore the place. We are not the ones to check in to a five star resort and stay indoors and enjoy the pool and the divine ambiance. We stay in service apartments or smaller places and spend most of the money on traveling to the local places around. Our major expense when it comes to traveling is always food. We explore as much places as we can and enjoy the local cuisine and the local dishes. We'd rather invest on experiences and memories than a seven star setting. I agree it is luxurious and pampering, but somehow it is not for us. We do not go for a fixed itinerary unless we are on an international trip, where we do not know the language or the people. We wake up in the morning and just set out to figure things out one step at a time. This way, we have discovered so many hidden spots and cozy cafes that many others are not even aware of. This always remains the highlight of all our holidays. For us, it is not about visiting a certain number of spots or monuments on a trip. It is about visiting a few and basking in it for as long as we can. We like to enjoy the place as well as get a decent amount of rest. Traveling from one place to another throughout all the days of the trip is not a break. It is another day of routine in another location. One place that has been constant on our travel list every year is Goa. Goa is not a place for us, it is a feeling. Every year we go there and lose ourselves. Not in the drugs and the alcohol that flows freely, but in the warmth of the place. We go there and leave all our troubles and come back clean and fresh. It might sound silly, but it has always worked for us. We tour the place in a bike and go as far as we can. Travelling by car is like a punishment for me. I suffer from motion sickness and the car smell gives me a migraine in an instant as does the AC in a closed environment. As much as I love road trips, this element of being cooped up in a car troubles me. However, pulling the windows down and stopping every couple of hours for a break does make it better. A little at least. We do have a list of our favorite places, but when it comes to travel, no place fails to leave us with memories and an experience. While most of our travels are planned there have been a couple of impromptu travels as well. They come out of the blue and just take us to a different world. As long as we are together, every place is heaven! 2016 fared well in terms of travel for me. Five holidays this year and each beautiful than the other. While reading soothes my soul, travel always cleanses it. Travel has taught me so much about myself that I never knew before. Travel has shown me the strength and endurance I have. Travel has pushed me to the limits and helped me come out triumphant all the time. No matter what I do, travel will always feature on my list and my travel bucket list only gets longer and longer. How do you like to travel? 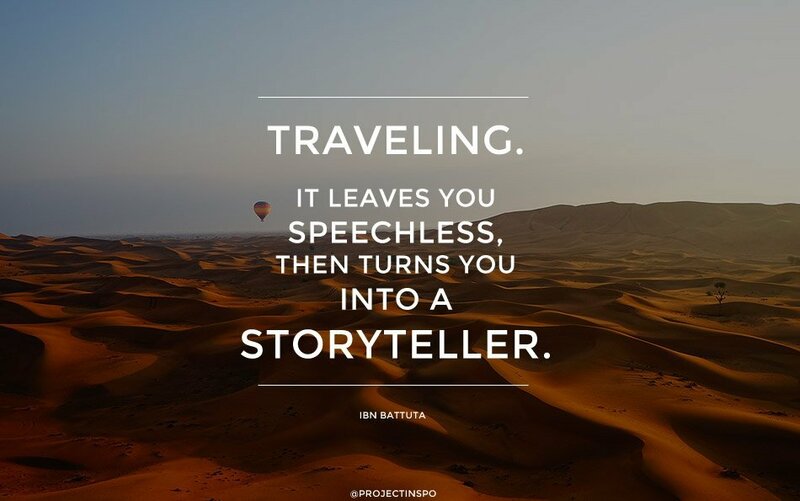 Are you a tourist or a traveler? Hugs to you Saumya! it is not always that we get such chances to explore the world or to meet a person who shares your interest. Kudos to you to have chosen doing what you fell in love with, best wishes for the future! Thank you dear Naba. Road trips are tiring, no doubt about that. You sound like a peaceful traveler but if it suits you and the ones around you, why not? Ah food? I'd travel planets for that! It's always great to find a partner who loves to travel too. In fact, travelling with your partner shows you a whole new side to them too - how thy cope when unexpected things happen or their likes/dislikes et al. Glad 2016 has been good for you on the travel front. heres to a better 2017! Oh yes totally agree. Without the right companions, travel can turn out to be a nightmare. You are blessed, Soumya! It is lovely to read your post. We pretty much do the same thing and are experts at not planning, unless,as you said, it is a trip abroad. Travel is a great education. Wishing you a wonderful 2017, and hope we meet more often. Hugs! Its good to have a partner who has similar tastes. I know from experience how difficult it is to convince someone who is not interested. Traveling changed my perspective of the world, made me more accepting towards life, people, cultures and most importantly towards food cooked in a variety of ways. I agree, travelling cleanses the soul and it makes perfect sense to relax well and not be chasing the touristy spots. May 2017 be even better than 2016 was and you keep creating many more beautiful memories, travelling far and wide in days to come. Food, oh yes! The best part of traveling. I was the same before marriage - Naani's place, Daadi's place and back! I am glad actually. I value travel a lot more than I would have if I were a frequent traveller as a child. As for being a tourist or a traveller - I am somewhere in between. I seek comfort in my itinerary.. doesn't matter if it is packed or not, planned or spontaneous, luxurious or budgeted. Each trip is different. At the end of the day, it is only about inner happiness and whatever gets you there! Ditto! Getting married made me value travel much more. I too grew up in a family where our travelling was restricted to our train trips to native place with an occasional trip to some other place. It was mostly a family trip with lot of tourist activity and not enough time to take in a place and it was anything but relaxing. It was only after marriage that I and my husband discovered the joys of travelling. We have gone mostly on road trips and like you, the best part of our journey is the conversations we have. We try to keep our holiday trips simple and relaxing and not rush through the places. I am however very skeptical about the places we stay at and spend more on our accommodation. I'm skeptical about the places we stay at too. Especially the washrooms. We always look for the best we can get when it comes to stay and do not insist of 5 star stays. We're fine with 3-4 stars too. Here's to more travel for you in 2017, dear Maithili. 4 years? You better get going to Krabi soon my dear. It cleanses me in more ways than one. Though I haven't traveled much, I'd say I'm more of a traveler. Visiting new places, soaking the sun and taking late night walks in vacation destinations are much more important than doing things that every tourist does. After all, I doubt I'd remember the names of all the locations I've visited (not at the tip of my tongue), but I'll always remember the first time I rode a horse, the boat-ride across Lake Venna, the nights spent searching for non-veg places to pig out in, standing atop the highest point of hills, and the fresh air of being someplace away from home.